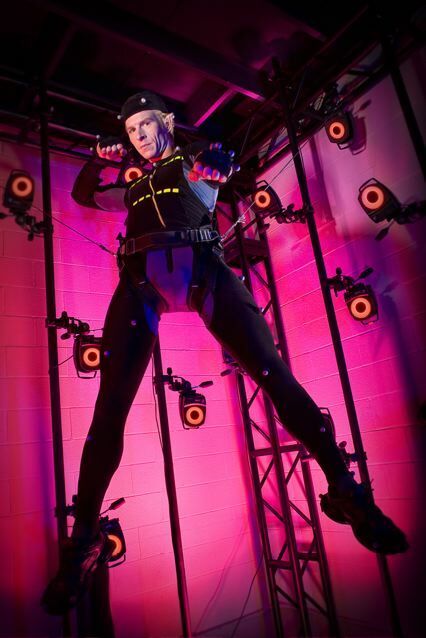 Reuben Langdon is a motion capture artist in motion pictures and games — you’ve probably directed his actions without knowing it in such games as Resident Evil 5 and Dead Rising. 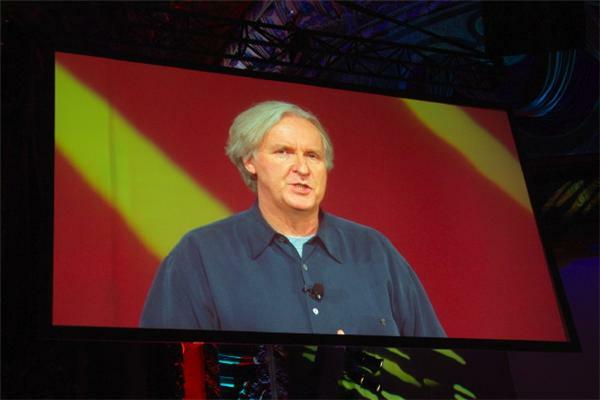 Most recently he’s been working on James Cameron’s epic CG film, Avatar. He took some time out of his busy backflipping schedule to talk to us about motion capture, having his own studio, and working with Cameron on the biggest and most ambitious CG movie of all time. CrunchGear: So we cover movie and cinema technology every once in a while, but we don’t get to talk a lot about motion capture. i was wondering if you could encapsulate really quickly what it is you do for our readers, so they have an idea of what a motion capture actor does? Reuben: Let me see, how can I encapsulate that? I guess it depends on project to project, but overall you’re acting just as you would on TV or film or stage, only you have to pretty much use your imagination to make up your environment around you, it’s all CG. You’re familiar with green screen acting — well, that’s probably the closest thing except you don’t even have a wardrobe, you’re in this marked-up suit that has these reflective balls on it, and there are 20 to 100 cameras surrounding you in a square or rectangle type area – the more cameras, the bigger the size. You’re working in this 3D environment, where in green screen you’re in 2D, or rather the camera can only see you and the background in 2D. I guess the closest thing is stagework, but you’re not really projecting to the guy in the back, you’re just doing your thing. And with technology getting better and better, there’s actually real-time technology now where you can actually see the CGI environment while you’re acting, which helps tremendously. What is the preferred nomenclature for what you do? I’ve heard it called Mocap but I don’t know if that’s a copyrighted term or something. Yeah, Mocap is definitely the most common term we use now. There’s motion capture, there’s performance capture, there’s mocap, pretty much everybody in the industry just says mocap because it’s easy to say. For a while they were trying to call it performance capture, because it’s performance-based, which is true, but at the end of the day you’re capturing motions. 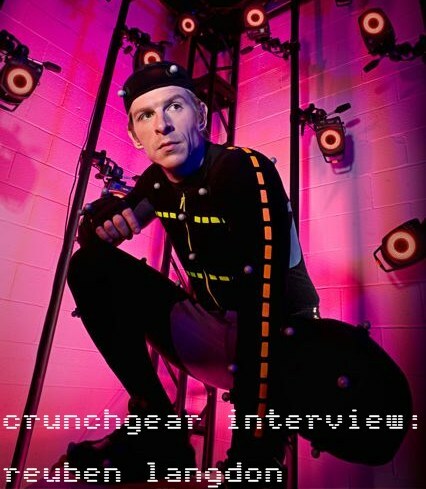 I remember in shots of mocap from like 10 years ago, the actors have things the size of tennis balls stuck on them, but in the picture of you recently there are stripes on the suit and little tiny luminous things on your head… how do you think the technology has changed over recent years? Well with the stripes on the black suit, we… well, let me back it up. What’s common these days is to have video reference. The motion capture is good, but sometimes if you’re playing a creature with non-human proportions or something, and you don’t have reference data to show what the actual actor’s doing, so the data it can be confusing. The animator might have trouble interpreting it, so he needs to watch regular video of the actor. But the black suit doesn’t always show up well, so basically all the stripes are are for when the animator goes back to the reference video they can see you better. That’s the only real addition to those suits. There’s also got to be a lot of stuff that’s changed behind the camera, the production process and all that. I know you’re in front of the camera, but I imagine you also have some part in the post-production process. Yeah, I actually have my own CG company now, we do our own motion capture as well as animation, so yeah, I’m very aware of the post-production process and how it works. It has changed over the years, the addition of real-time stuff, I mean being able to see yourself and your environment in real time, that’s great. We try to recreate the things you interact with, a chair, a tank, whatever, as well as we can in the CG environment so that when the actor interacts with it and you move it to post production, there’s less moving around of animations. That definitely helps. We’ve incorporated virtual cameras into the motion capture now, where you actually mocap a camera, and you go in and capture all the camera movements, that adds more realistic camera movements. It also speeds along your camera pipeline because sometimes to animate camera movements takes quite a while – especially if you’re trying to animate it with an organic feel. 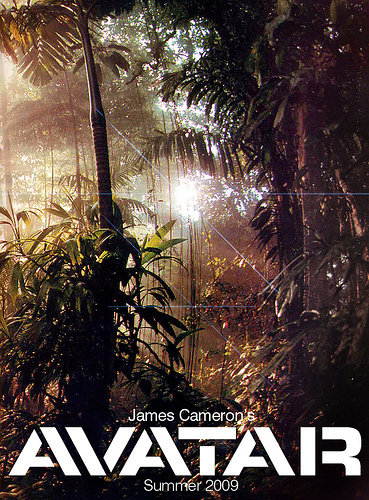 James Cameron, on Avatar, was actually really pushing those technologies, and has been leading the industry in the last couple of years, and now everyone has kind of jumped on that and tried to incorporate those two technologies into their pipelines. I imagine. At E3, I was at the Ubisoft press conference where Cameron talked for a while about Avatar, and he was really getting into the story and the details, but he also sort of glancingly talked about the technology that has gone into it, probably because a lot of it is still proprietary stuff. What’s been your experience with that? It’s been amazing. This is really the first time I’ve gotten to work with Jim and we’ve been working on this for the past few years. And it was really my first chance to see the real-time at work, when we started three years ago. It’s amazing to see, as a performer, how much that helped. I’ve done motion capture for so many years without that. I mean, I’d seen it before, but not as refined. Especially since I’ve been working in mocap for a while, I’ve been able to see how it benefits people. New folks, who aren’t really used to motion capture and it’s their first time on the set, it can be a bit intimidating and they get a bit freaked out, you know? I’ve seen a lot of actors not be able to get into it very fast or even at all, but with the real-time addition, it really makes it a lot more, I guess adaptable for actors from TV or film. Yeah, if you’re used to working on a set, with your actual co-actors, then moving to a big pink or green area, dots all over you, I suppose that real-time thing must be real handy. Now, James was talking about Avatar, both the movie and the game. I wondered if you guys shared production facilities for both, since that would probably streamline things, or were you using game assets in the movie or movie assets in the game, that sort of thing? I haven’t been part of the game, so I can’t really say anything on that, but I remember hearing some other actors joking around with the producer, saying “Hey, when do we get to work on the game?” and he said “You already have!” So I think everything we’ve captured for the actual movie is actually being recycled over to the game. Which is great – theatrical quality. Yeah, he seemed pretty excited about it – he was, well he was nerding out, actually, it was great. I heard about the conference, I wasn’t there but I heard about it. It was kind of fun. Of course he’s this visionary director but then he’s getting into the nitty gritty details and narrating it, it was interesting to see him really getting into his own work. Yeah, it was fun watching him on set, he’s just so knowledgable, everything from the CGI stuff to the little things, like how does a soldier carry a gun, or where would his flashlight be on his gear. He seems to know everything about everything! He’s got the vision, he’s got it all in his head. And he does the research, I think that’s the most important thing. It’s like, when does this guy sleep? He must go home and read books and watch reference stuff, I don’t know, it’s like how does he get all this information in his head? It’s been a blast working with him, an honor. So if you were to play a ninja and you were jumping around, obviously you’ve got to be pretty good at gymnastics but you can’t leap forty feet in the air, how much of the action we see on screen is real and how much is added in? That depends project to project. Sometimes they just sort of want you to walk through the moves and not go all out, just to sort of get an idea. Some projects they want it exactly the way it’s going to be, the animators don’t want to have to fiddle with anything. In that case we’ll wire up, and we will jump forty feet in the air. And we’ll do it a hundred times until it’s exactly right in real life. It depends on the realism level and the amount of work that the animators will want to put in. Either way it’s going to be work, they have to clean up the data and everything. Yeah, I was wondering if there was a lot of wirework involved. Actually on pretty much every project we have wirework, even if it’s not all Crouching Tiger, Hidden Dragon. I’m working on a project right now that’s heavily animated, hardly any original movements at all. A lot of games are like that. For in-game stuff, a lot of stuff is just captured for reference. When you’re mashing buttons, they need it to move quick. Traditional motion capture stuff is, I think it’s 120FPS, so frames have to be cut, usually down to 30 or less, and when you mash a button it has to happen in a lot less even. So Cameron is big into the 3D thing now. Have you been working a lot with stereographic camera setups, has that changed the way you work at all? I mean, obviously you work in 3D to begin with, but has it changed the workflow or hardware at all? 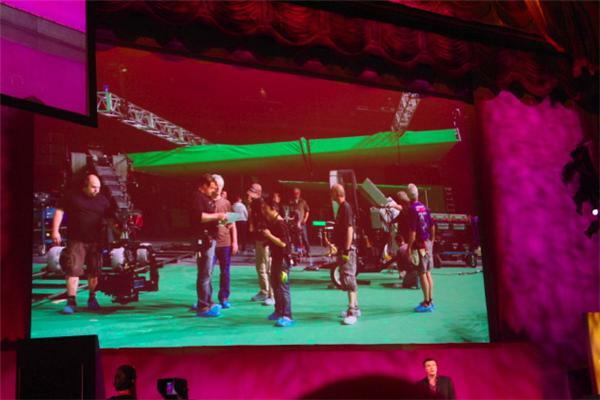 Yeah, everybody’s looking at 3D and seeing how we can incorporate it into our next production. When it comes to motion capture, it’s already in 3D so you just hit a button to render it out. But yeah, there are a lot of 3D movies coming out in the next year or so that are CG, because for live action it’s a lot more work. So lastly, since you’ve been working on Avatar, is there anything awesome or cool you’ve experienced that you can tell us about that we haven’t heard in the Entertainment Weekly kind of press? There’s a whole lot of awesome coolness but unfortunately I can’t really talk about it. I thought that might be the answer but it was worth a shot anyway. No worries. It is going to be an awesome, awesome thing, that’s all I can tell you, and hopefully sooner rather than later. I heard they’re trying to push for a December release, but we’ll see. I can’t wait till it comes out. Nice. Well, thanks for talking with us, maybe we can talk again in the future once Avatar is out, you can talk about some of that top secret stuff. If you’d like to adopt your very own Reuben Langdon, check out his website, and then check out his production company’s website. Thanks for talking with us, Reuben.